There's fake news and there's people using their vlogging skills to capture real life events. Maybe it's a young stupid driver taking a selfie, and maybe it's a foreigner doing as Americans do while in America. When I saw the Carlos A. Hakas video involving a street vender, I was angry for the poor Mexican standing on the corner trying to make a living selling corn on the cob. I read the comments from a facebook page belonging to the bully whom having realized his devilish deed appeals to the public with a link proving his innocence. I can see how he might be innocent in a world so filled with anger and lust for misfortune to others, and his facebook update reflects in the comment more hatred I'm sure even the Jews in 1940's Europe encountered verbally. 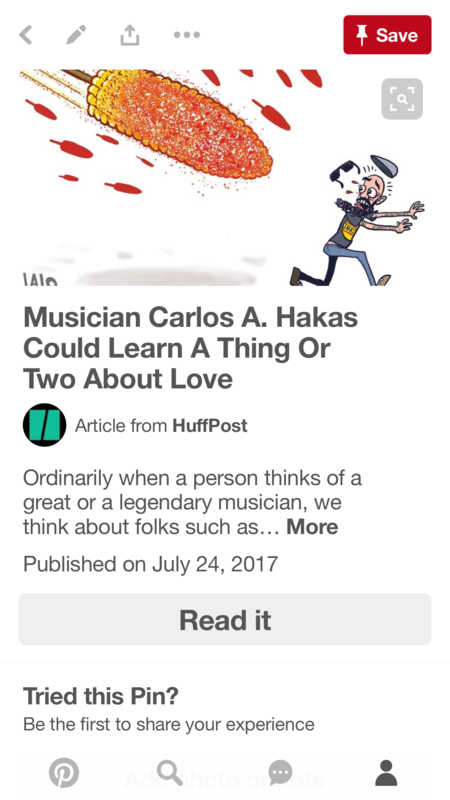 So I find a huffpost and try to my best to link it to reddit. The days of old when one could simply copy/paste URLs are gone. Enter the age of raw data manipulation. At least computer nerds still have the ability to take screenshots of an article and show it as proof that something is happening in their part of the world. I want to see if anybody else is enjoying the spectacle which quite franklin might lead to more business coming their way: Ben, the street vender receives a gofundme account, and the metal musician might just be waxing his image as a metal head.